Today, you can get a pretty decent digital camera, capable of taking a pretty decent photograph for around $200. In this article, I am going to open the bonnet on digital photography and uncover some of the myths and facts about this wonderful phenomenon. So what does happen when you click that button on the top of your camera to take a photo? Don't worry, I am not going to bore you with big words and complex science, but it is good to understand what goes on behind the scenes and at the very least, a good understanding of how your camera works will enable you to take better photographs. Right, so we will start at the end - the result of taking a digital photo. That is a jpg file that is stored on your memory card that you can open on your computer. Digital photos are just a whole lot of 1's and 0's, with varying combinations used to determine the colours of the individual pixels that make up your photo. For example one pixel might be represented by 10001011 and another one might be 01000101, each being a different colour. A photo is made up of millions of these pixels, and you are able to see the individual pixels of an image by enlarging it until you see clear squares of colour. Here we have taken a small area from our photo (the small red box) and enlarged it to 3200% so that you can see the individual pixels that make up just that small area. Ok, so we know that a digital photo is a whole lot of combinations of 0's and 1's, with each combination representing a coloured pixel, but where does this information come from? Our camera of course! When you press the button, the camera opens up the shutter and light travels through its lens and hits a sensor. If you think of it like opening your curtains in the morning, you have just got out of bed and the room is all dark - you open the curtains and then boof, you have a beautiful image of the great sunny day outside! This sensor has lots of little receptors that capture the intensity and the colour of the light and convert it into an appropriate number to be stored in your digital file. Quite amazing really isn't it! If you think about the size of the sensor being only the size of a rice bubble and it can capture so much information! Your camera has a little computer in it that handles the processing of these numbers to create the jpg file. This includes compressing the data so that the file size isn't huge, and depending on your camera, any special effects that you have selected to be applied to your photo. 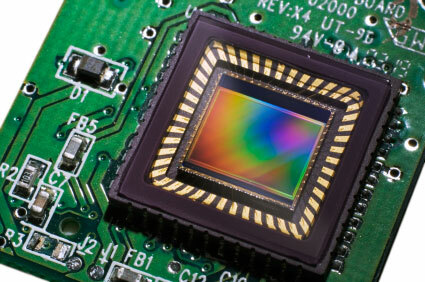 Here is a small sensor from a digital camera, this will be found behind the shutter inside your camera. Although improving now, this is still probably one of the most misunderstood and misrepresented areas of digital cameras. This has not been helped by uneducated sales people sharing their incorrect knowledge with customers. I cringe when I walk into an electronics store and hear what some of the sales people are telling people about megapixels! The biggest misconception is that the greater the Megapixels, the greater the quality. So what is the Megapixel thing anyway? 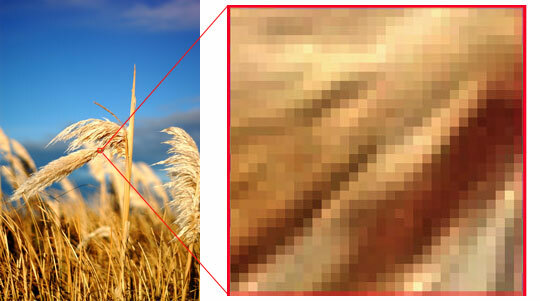 In a nutshell it is the number of pixels on your camera's sensor. One Megapixel is one million pixels, eight Megapixels is eight million pixels etc etc. This relates to the resolution of your photo, i.e. 'xxxx' pixels high by 'xxxx' pixels wide. The same theory applies to your computer monitor, and it is worth to note that a top end 30 inch screen at 2560x1600 is only 4 megapixels! Anyway, back to your camera. In some of the smaller cameras, the sensor can be as small as 8 by 6 mm. That is as big as a rice bubble! Now pack eight million pixels onto that, and you have a lot of pixels to fit in a very small space. Think of trying to fit as many people as you can in a mini, it will get to a point where it will become uncomfortable, hot and sticky! The same applies with your sensor and when the pixels are packed so closely together it gets pretty hot in there, and you will end up with noise in your photographs. You may have seen this in some photos as a rainbow coloured grain. It is not the number of megapixels that matter, but the quality of the megapixels that are there that will affect the quality of your photo. I am not saying that a 3 megapixel camera is necessarily better than a 12 megapixel camera, I am just pointing out that sometimes you need to see through the marketing hype when selecting your camera. The camera companies have been in a Megapixel race, and because consumers have been measuring the quality of the camera by Megapixels, producers have been forced to produce cameras with more and more megapixels. It is starting to get to the point where the extra megapixels are there for the sake of it, and do not actually improve your photo at all. Hang on, I am confused now.....does this mean that a photo taken on my one Megapixel cellphone is no worse than on my $5000 12.2 Megapixel Nikon D700??? It depends. Obviously the quality of the sensor is much better on the Nikon, so that speaks for itself, but it really depends on what you want to do with your photo. If it is going to be your facebook profile picture, then you will get away with your cellphone. You will only need a resolution of 200x161 pixels, which is well under one megapixel. But if you want to print it at a metre by a metre and stick it up on your lounge wall, your cellphone will not suffice! If you are going to be printing from your photo, then you want the highest available resolution. There are settings on your camera for the size of the photo that it produces, and quite often they are defaulted to an 'email' setting which sets the size (resolution) of your photo quite small for emailing. The benefit of this is that it saves space, and you can get more photos on your memory card. However, memory cards have evolved so much now, and space has become very cheap, so this benefit is technically redundant. What I would recommend is to set your camera to the largest possible size so that you are not restricting yourself. While smaller sizes can be enlarged, it makes sense to start with the biggest possible size. This is the size that you would email us to print your photo. If you are going to simply email to family and friends, then to make your file smaller you can reduce it in size on your computer, but make sure you keep your original large image and save the smaller ones as a copy. Quite often we have seen a great photo that has been taken on an email setting, resulting in a smaller print than hoped for. While we have great techniques for enlarging photos, some small photos might not go as big as you would like, and it seems a shame to have to settle for a smaller print, when if your camera was setup differently you could have otherwise gone bigger. We have talked about Megapixels and the quality of the sensor, but there are other important factors that will define the quality of the camera. One of the most important aspects is your lens. In Digital SLR cameras where the lens is separate, you can interchange lenses to suit your particular situation and these come in varying degrees of quality and sizes which are reflected in their price, from a few hundred dollars to tens of thousands of dollars. Next time you go to a rugby game, take a look at the big lenses on the photographers' cameras on the sideline. 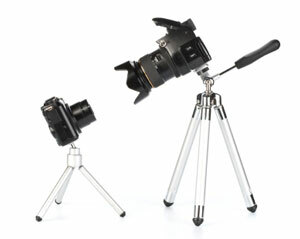 Those will have cost thousands of dollars, and are an important piece of equipment for taking a high quality photo. Compact digital cameras have a single built in lens that can be very small. The more megapixels you have, combined with the smaller sensors, requires a greater precision of focusing from your lens. You will notice that a lot of cameras have both optical and digital zoom. Optical zoom, is the 'real' zoom for your lens that uses the optics of the lens to bring your image closer, whereas digital zoom enlarges your image by cropping it and then enlarging it back to size again. Personally I only look at optical zoom. The effects of digital zooming can be done in a more controlled manner in applications such as Photoshop, and again I feel it is just used as a marketing ploy by the manufacturers. Another area is light sensitivity, and the ability of the camera to take good photos in low light. While some cameras claim to have really high ISO's, compact cameras still seem to have issues with grain in low light. This is predominately due to the limitations as a result of the sensor size. Technology has come a long way, and the quality from the smaller cameras is right up there. What I would recommend is reading reviews on sites such as www.dpreview.com before you even walk into the shop to purchase your new camera. While I am writing this article I have some music playing on my laptop. I have some little portable speakers plugged into it and even at full volume, you won't hear it at the other end of the studio. I do have the option of plugging it into the stereo system, which at full volume will be heard out on the street - but my $20 speakers are sufficient for listening to music while I work. The same applies to cameras. While I love my Nikon D300, it is not practical for all situations, so I also have a little compact camera that I can fit in my pocket, and take with me everywhere. These little compacts really come into their own when it comes to portability, and for general snapshots and memory-capturing photographs, they are great. But I would not use one to shoot a wedding, there are some compromises that have to be made with their portability. So it basically comes down to compact cameras being great for everyday photography, while for professional photography, DSLRs are the preferred choice. Hopefully I haven't bored you with too much detail, and you now have a good understanding about digital cameras. The advantages of modern compact digital cameras are that someone with little to no knowledge of photography can still take a great photo quickly and easily. 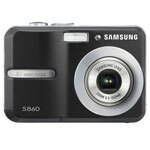 They are setup for point and shoot and will take care of most common situations nicely. Modern digi cams also have advanced features such as face detection to make focusing easier. While compact cameras are great for snapshots and general photography, they do have their limitations, which is why professionals use Digital SLRs. For professionals, and those with a keen interest in photography, DSLR's have also come a long way, both in technology and in price. When purchasing your camera, it is important to see through all the marketing hype regarding things such as megapixels and zoom, and look at what is really important with your camera. 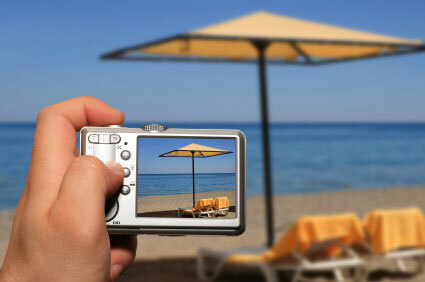 We recommend that you always shoot at the largest possible photo size that your camera allows. When you are sending your photo to us for printing it is important that it is the biggest version that you have, not one that has been reduced in size for emailing. And last, but not least it is all about having fun and capturing it. 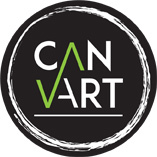 Whether you have a top shelf DSLR or a $150 compact camera you can still have fun and capture amazing photographs that can be printed on canvas for all to enjoy! When you are emailing a photo to us to be printed on canvas, should you reduce it in size before you send it? The correct answer was of course no and we would like to congratulate Erin Armstrong from Tauranga who is the lucky winner of the Samsung Digital Camera.